Menus redesigned. Theirs margins/paddings are changed. 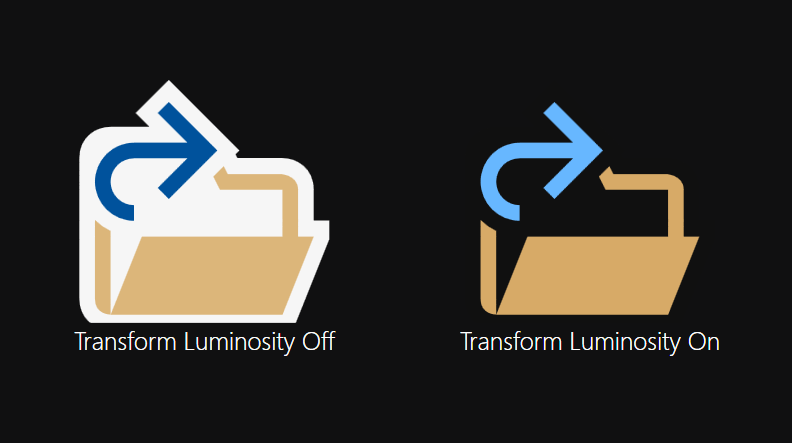 Icons now support Luminosity Transform. It means, they can automatically change color based on the theme of the editor. Currently all the transformation are set to dark. New ImageThemingUtilities class API that changes the luminosity of drawing image. New ThemedSource markup extension that can change source of an icon to another theme on the fly. It is obvious that this new skin is not still good enough, but for me, as a student and a newbie to UI and game designing it took only a few days to understand the project and make these changes. So to the great and professional community of Xenko, please make this engine even better. Also it will allow you to squash all your intermediary commits into one, which I think @xen2 should do anyway before merging. Besides the previous changes, new changes made to Scene Tabs, Menus, Property Grid title, Footer status bar and some color fixings. I'm not going to make any other changes in this PR, but only fixing review issues. 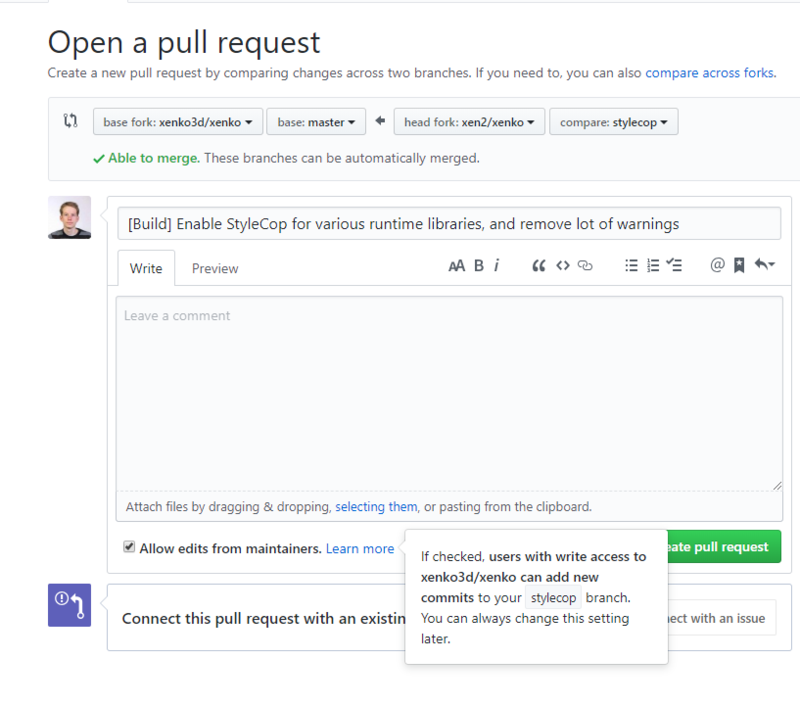 But there are still changes that can be made (specially in AvalonDock theme) by the community in further developments. @0xaryan Sure. I think it is good enough at the moment. We can always improve later. Thanks for the contribution. I'll do another quick review and then I think we can merge. I see some places were the old gray colors are still used, e.g. the background of combo boxes. Also I'm wondering if the colors/brushes should be externalized in a separate file to make it easier to have other theme/color. But we can have that discussion later when we actually implement a new theme. Blend uses a lighter color for background of combo boxes (#212125) in compare to whole IDE. In Xenko it is (#333333) which is 6% lighter than Blend. Exactly. It makes creating a new theme much easier when you have an integrated theme file or folder. Currently creating a new theme requires changing files in different parts of the projects which is hard to debug and extend. They sent icons I've requested (Apple, Windows, UWP, Android, Linux and iOS) in SVG format, so we can replace OS icons too. They have a specific license described here. All it needs is to set a link to Icons8 in the about dialog of Xenko. Is there any problem about this? All it needs is to set a link to Icons8 in the about dialog of Xenko. Is there any problem with this? We have links to the libraries we use in the THIRD PARTY.md document. The document is available here and also from the about dialog through a link. I suppose it complies to their license if we add it there (even though it is one click away). @Kryptos-FR Ok, I changed those icons. Version Dark Xenko isn't the most successful from the point of visual perception , too sharp contrast of black color and light colors. 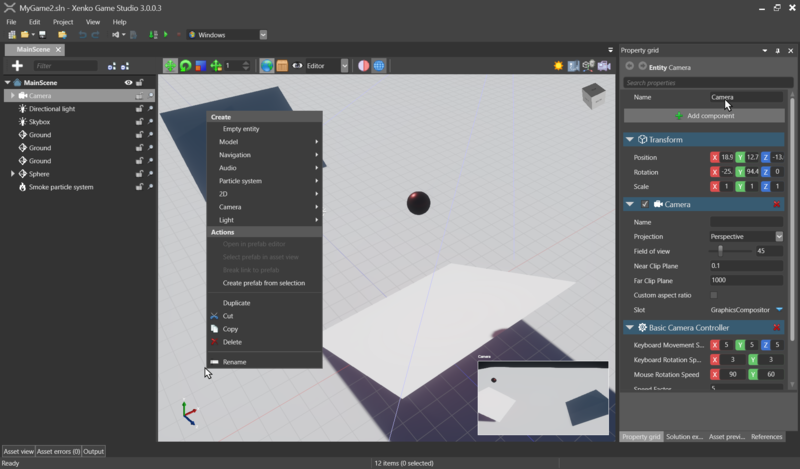 My opinion - the ideal option would be a gray color with a light gradient of monochrome icons like Blender 3D, Modo, Atomic Game Engine, Wave Game Engine, Shiva Game Engine, etc. This is the most favorable option for the eyes. 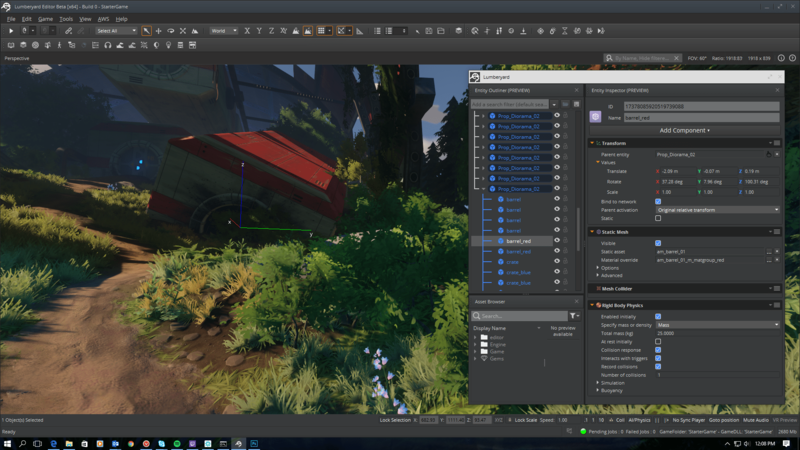 Here is an example of the interface in Amazon Lumberyard. Very well readable and pleasing for the eyes light gray icons with a light gray gradient on the background of a slightly darker gray interface. The interface as you can see consists of two variants of gray color, more dark gray and slightly lighter, this combination looks very nice. 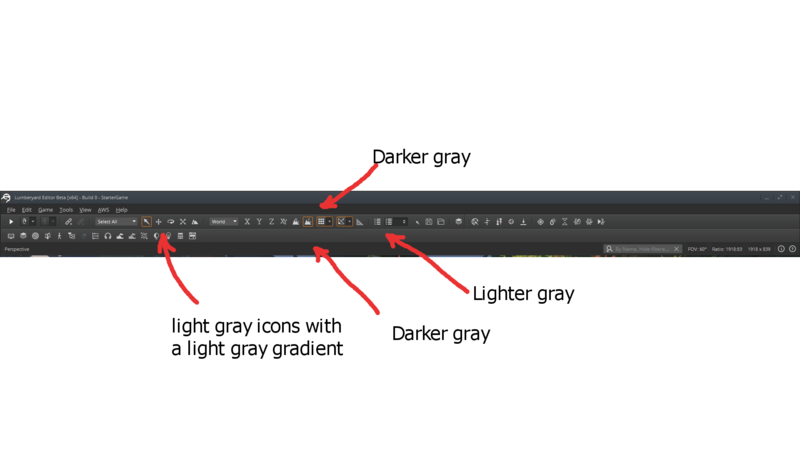 the ideal option would be a gray color with a light gradient of monochrome icons. I'm not fan of a gray color editor, and I think most people prefer to have a light or dark theme, not something in the middle. 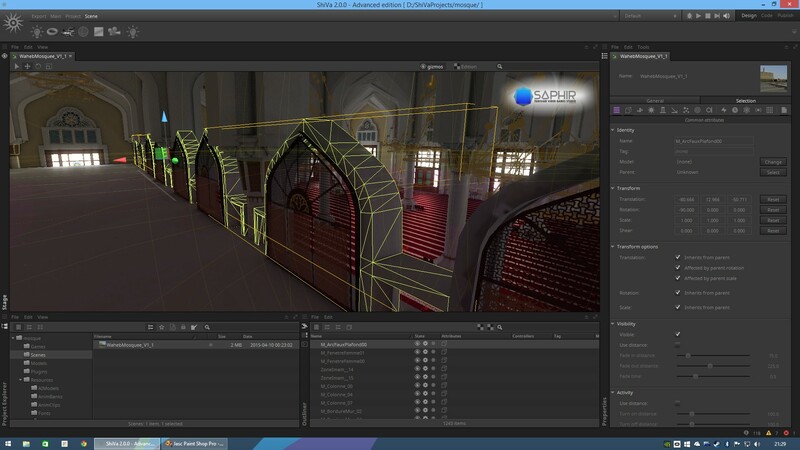 Just take a look at the most voted request of Unity3d community feedback, near 13000 votes for a free dark theme. To me it was the best option to use Dark UI of Blend. 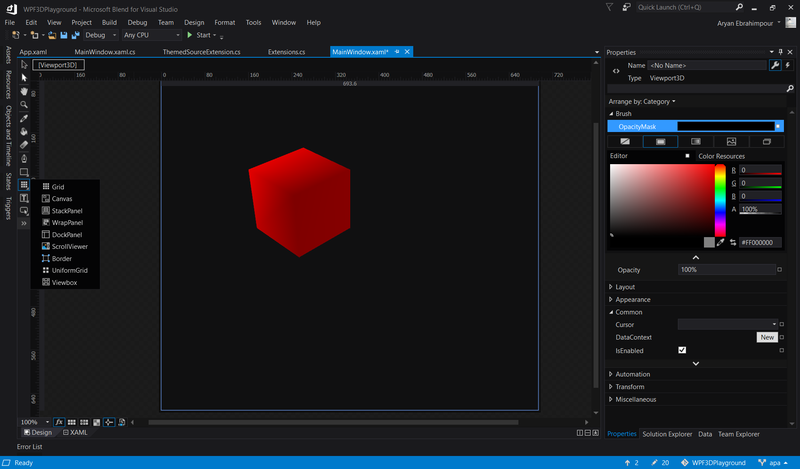 As Xenko is a game engine built on .Net and it's API is the most comfortable API for .Net developers, why not an editor like Visual Studio? I barely saw that someone change clean theme of Visual Studio to something fully different. But all these ideas and styles that some people like and some people don't can be fixed when a theming system comes to the Xenko. Thank you for your feedback, my previous reply is my subjective opinion. I got acquainted with your version of the new theme more closer and I can say that your option is much better than the previous one. Color icons look more attractive (without a gradient as before), new icons of light gray color (movement, camera, e.t.c) look more interesting, thanks for the work done, but I still have questions (my opinion). 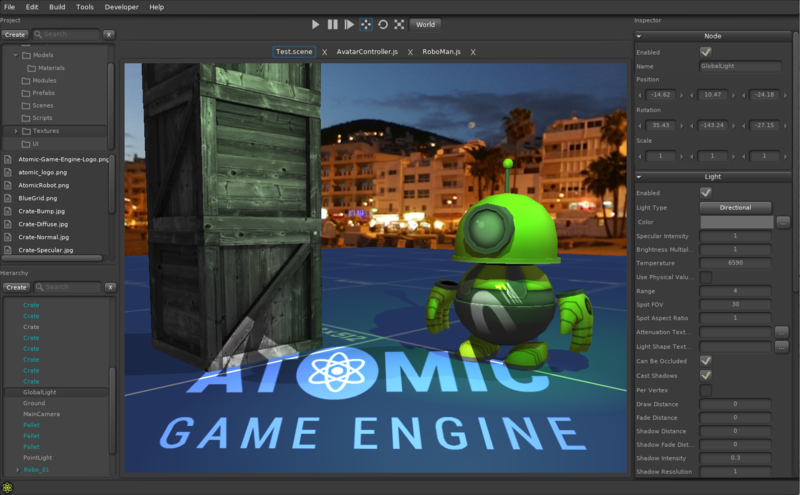 I got acquainted with the color gamma of the UI of the top ten most popular game engines and none of them didn`t have so much dark color, even the dark theme of Godot is much lighter than this option. Thanks again for your work, I appreciate it. You said that most people prefer to have a light or dark theme, but in fact I gave the example of the popular engines and none of them doesn't own as much a dark color theme as in your version. 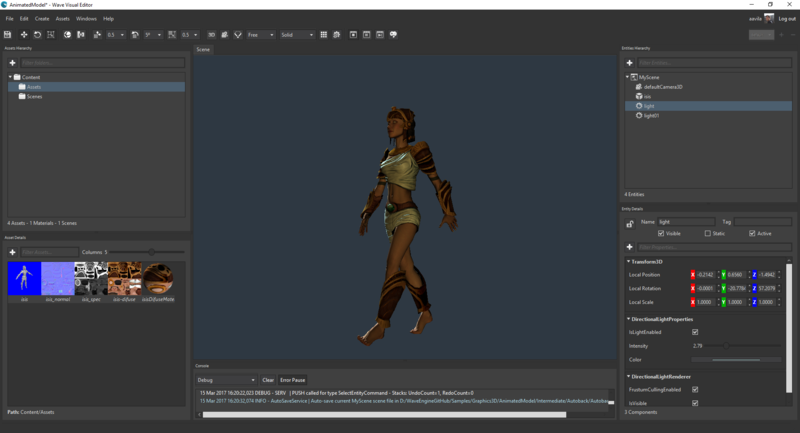 Unity Feedback Editor: Dark skin theme in Free available in options. 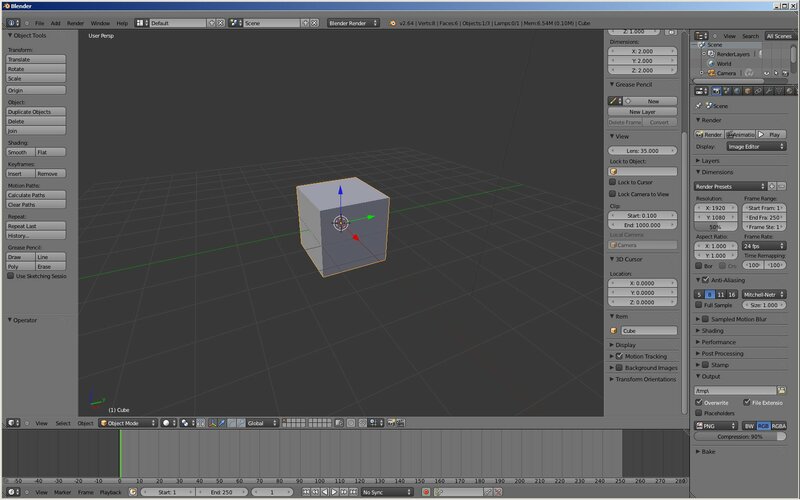 How can I change Blender's theme? 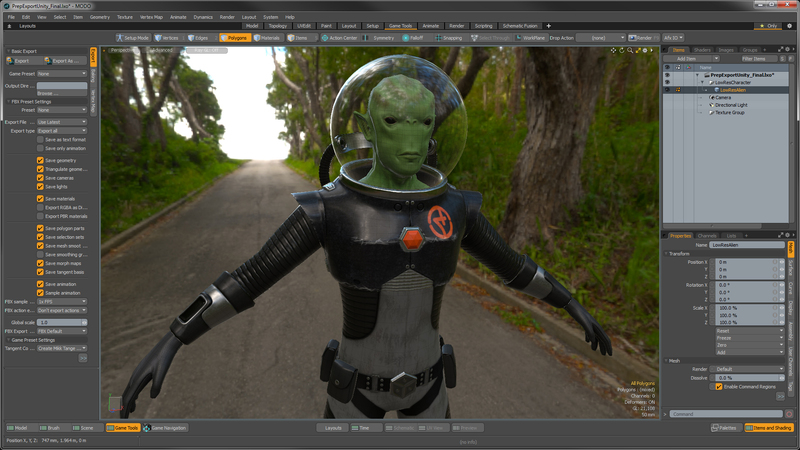 In Blender, you can easily change the theme in options. Maybe that's why they are not worried about changing default theme to a darker one. In Unity, I think it is a part of their business model. 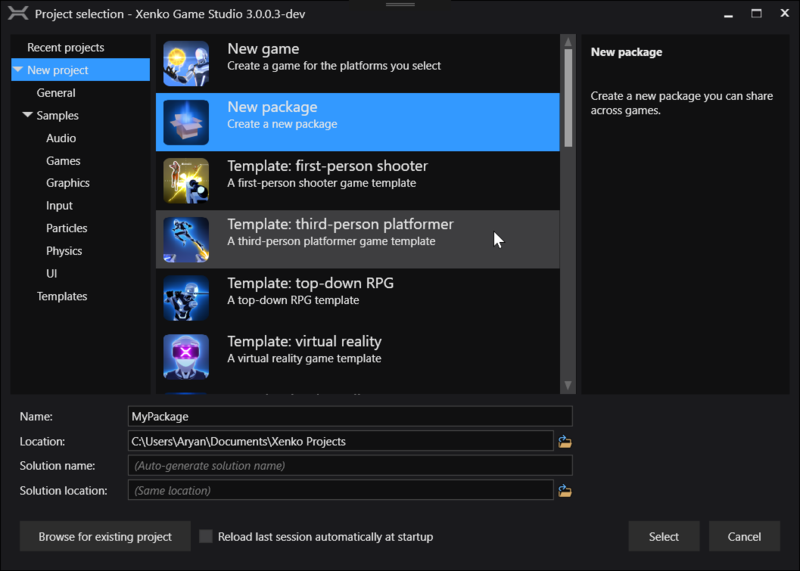 Dark theme is only available in the professional edition and this became a revenue stream for unity owners. As I said before, these are all preferences. I prefer to have a dark UI just like I have in Blend editor, and I know that there are lots of folks out there that agree with me and lots of people who don't. The only thing that can solve these type of style issues, is to bring more themes into the editor to support more people. 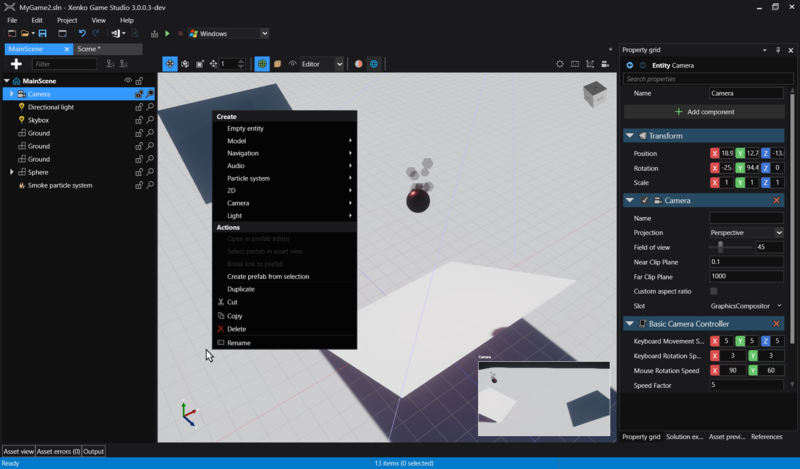 Supporting more theme is not something that can happen anytime soon as it needs a lot of changes and active work, so the best option is to change the editor to something that the most members of the community like. When I was creating this new theme, I was afraid that the community don't accept it as it is very dark (as you said), so I asked some people as a small statistical people about this new color and they all said that it is OK. 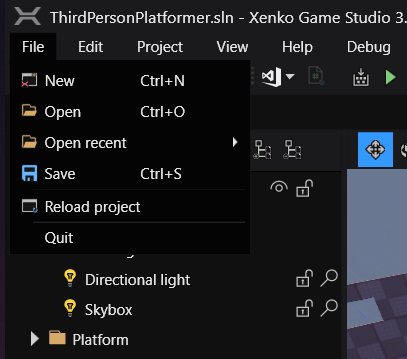 Besides your helpful advices, I have other ideas that could make Xenko editor much cleaner and better, but my time is very limited to implement them. Anyway, I do not insist on this color theme. If you think that a lighter color is a better choice for Xenko, you are only a PR away. @0xaryan If you don't have the time, feel free to open an issue and if it's good, somebody else might take care of it!